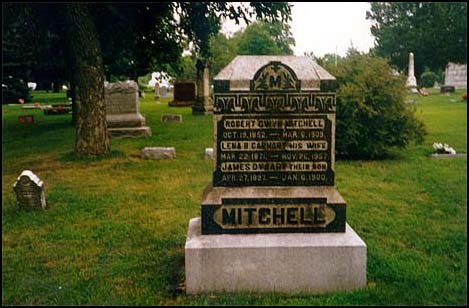 Robert Gwyn Mitchell b. 1852 Oct 19 , Monroe, Missouri to 1909 March 6, St. Louis, St. Louis, Missouri, and wife, Lena Bell Carhart b. 1871 Mar 22 at , Macon County, Missouri to 1957 Nov 26 at Baldwin City, Douglas, Kansas. The son here was James Dysart Mitchell b. 1897 April 27 at , Macon, Missouri, who died of diphtheria at the age of three, 1900 Jan 6 in , Macon County, Missouri. Image courtesy of Mitchell Noll.